Studying Jupiter’s weather is arguably fascinating. Unlike Earth, the Jovian upper atmosphere alone is hundreds of kilometres thick,1 leading to interesting weather dynamics. 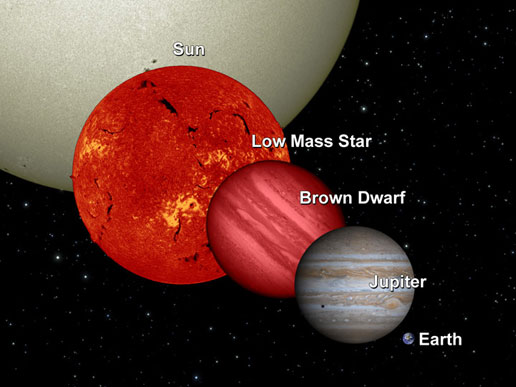 The atmosphere itself is roughly equal in composition to a stellar atmosphere; that is, mainly consisting of hydrogen and helium,3 which is clearly much different than Earth’s atmosphere. Understanding Jupiter’s weather patterns is more useful than just satisfying human curiosity. Understanding weather patterns on Jupiter could lead to developments in the field of fluid dynamics or help us develop new technologies. Some experts say that understanding the storms of Jupiter can even help humanity understand and predict weather patterns more accurately on Earth,2 as they follow the same physics as anywhere else in the universe. The movement caused within a fluid by the tendency of hotter and therefore less dense material to rise, and colder, denser material to sink under the influence of gravity, which consequently results in the transfer of heat. Throughout history there have been many American missions to Jupiter. Most of these missions were flybys which supplied photographs of the planet to NASA. Some of these flybys include the Pioneer 11, Voyager 1 and Voyager 2, which all occurred in the 1970s.8 There were also orbiters or probes that travelled through the Solar System to Jupiter. These probes were sent to orbit the planet and eventually descend into its atmosphere.8 The Galileo Orbiter and the Juno Orbiter, which is a current mission, are two of the probes sent to Jupiter in recent times. 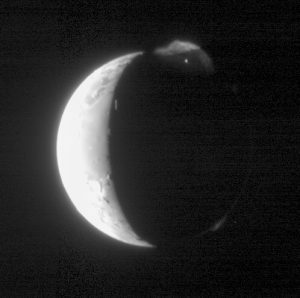 The Galileo Orbiter was a long-lasting mission that helped us learn a lot of new data about the planet. It was the first probe to enter Jupiter’s atmosphere and record this advanced data from its orbits.7 The orbiter also detected new information about the moons of Jupiter and was the first spacecraft to discover a moon of an asteroid.7 The Galileo spacecraft was eventually directed by NASA to descend deeper into the atmosphere of Jupiter to be destroyed. This was carried out to protect against contamination from any Earth-based lifeforms, so it can eventually be determined whether any life has evolved in the Jovian system independently from life on Earth. Juno is a current mission to Jupiter that will hopefully bring us even more new discoveries in the years to come. The Juno mission is especially relevant to this article, as the current mission objectives include measuring the composition, temperature, and cloud motions of Jupiter’s atmosphere; mapping Jupiter’s magnetic and gravity fields to reveal the planet’s structural interior; and study Jupiter’s magnetosphere to gain a further understanding of how the planet’s strong magnetic field may be affecting its atmosphere.9 All of these discoveries will help humanity gain a deeper understanding of Jupiter’s atmosphere, with an emphasis on understanding what is going on beneath the surface. What has NASA’s Juno discovered around Jupiter so far? While much is known about Jupiter’s weather patterns, and even more is theorized, humanity has only scratched the surface -literally- of the dynamics at play within the planet’s atmosphere. Only the first few hundred kilometres have been observed, and that is about the limit that can be reached with today’s technology. 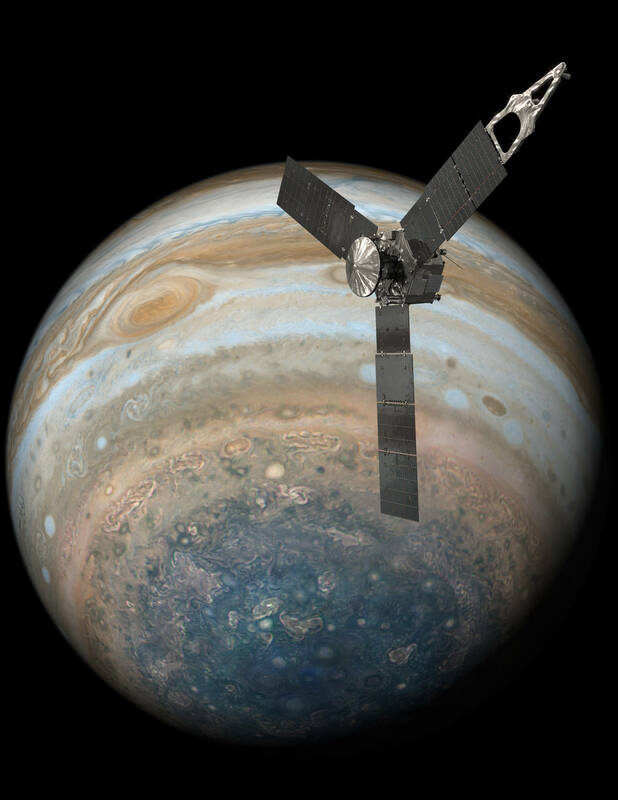 Within the next few years, the Juno mission will hopefully give us deeper insights to the internal dynamics at play deep within the planet’s atmosphere, and a give us a deeper understanding of Jupiter as a whole. 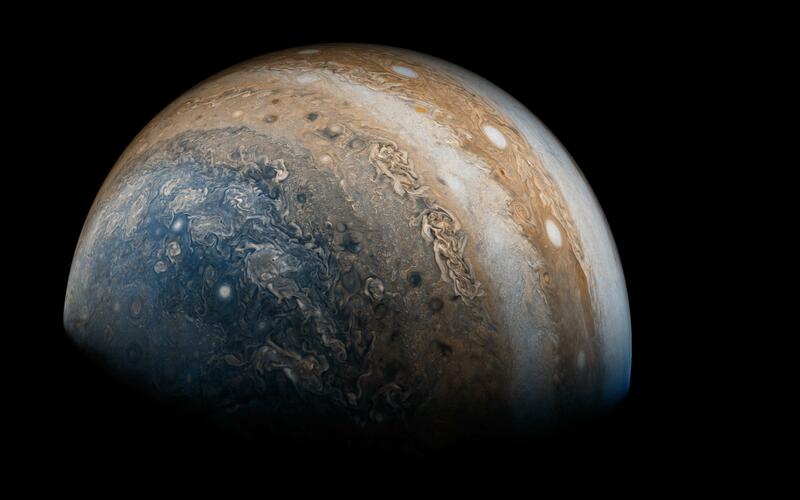 Understanding Jupiter’s weather patterns in more depth could lead to a revolution of weather prediction here on Earth, most likely revolutionize the field of fluid dynamics, and of course help quench humanity’s insatiable thirst for knowledge. Whether we will one day be able to understand Jupiter entirely, or if its depths will forever be a mystery, remains to be seen, but we as humans will always do our best to grasp the unknown.